We are glad to see you at AllTrainersPC.com! 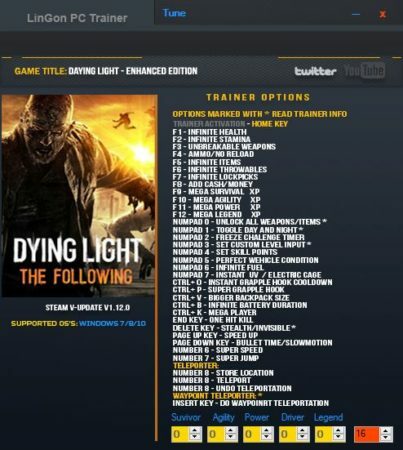 If you want to download Dying Light: The Following Trainer for free, you can do it right on this page! This cheat works on the game version 1.15.0 and above. Trainer includes 36 different functions, using which you can get a big advantage in the game. 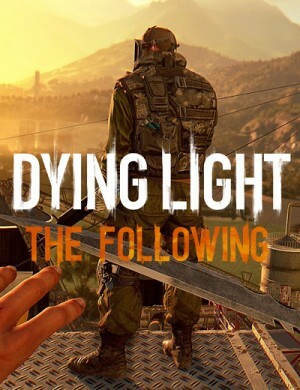 Dying Light: The Following (2017) is a very interesting game developed by Techland in the genre of first-person action survival. This DLC includes a new storyline, new locations, new machines, etc. We regularly add updated trainers, download that you can at the bottom of the page.